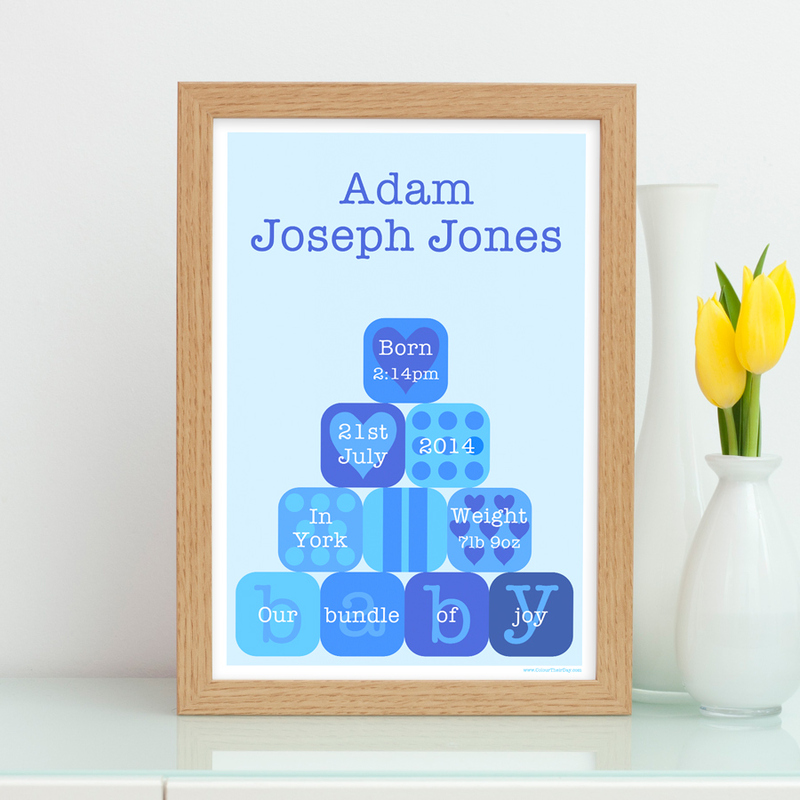 This lovely personalised birth print will make an excellent gift to celebrate the birth of a beautiful baby boy. It will also make a perfect treasured keepsake for the newborn. The design features a pyramid of blue patterned baby blocks on a pale blue background, inspired by fond memories of babies’ playtime fun. Personalised with full name, time born, date, year, town or city and weight. Also with space for a four worded special message along the bottom. The print is available in A4 unframed, A4 framed and A3 unframed. This message goes along the bottom of the print. If you choose “Little sister/brother to” please enter their name in the sibling section below. Only required if you choose “Little sister/brother to” special words option. Be the first to review “Blue Baby Blocks – Personalised A4 / A3 Boy Birth Print” Click here to cancel reply.